Lot Kamehameha succeeded as King Kamehameha V on the death of his brother, Kamehameha IV. 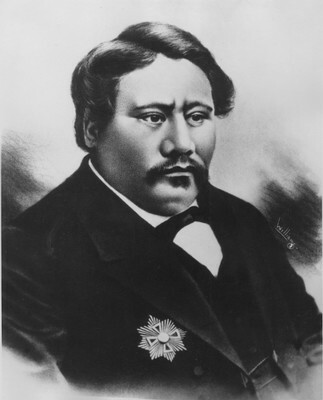 With the belief that a sovereign’s power should be absolute, not unlike that practiced by his grandfather, King Kamehameha I, Kamehameha V by his own prerogative proclaimed the Constitution of 1864 which strengthened the king’s powers. During his rule the hospital at Kalaupapa, Moloka‘i was established to deal with the leprosy epidemic. Kamehameha V is also credited with preserving the hula tradition which was in disfavor at the time due to moralistic attitudes.